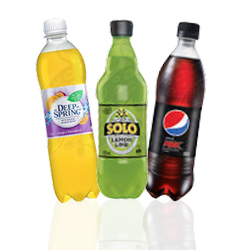 We will provide your employees, visitors and customers with the widest array of your well known brands of cold drinks in a variety of can and bottle options of all the leading brands in your drink vending machine. See below for our cold drink vending product list. If you have a favourite drink that you would like to see in your vending machine, just ask us to put it in, it’s that easy!